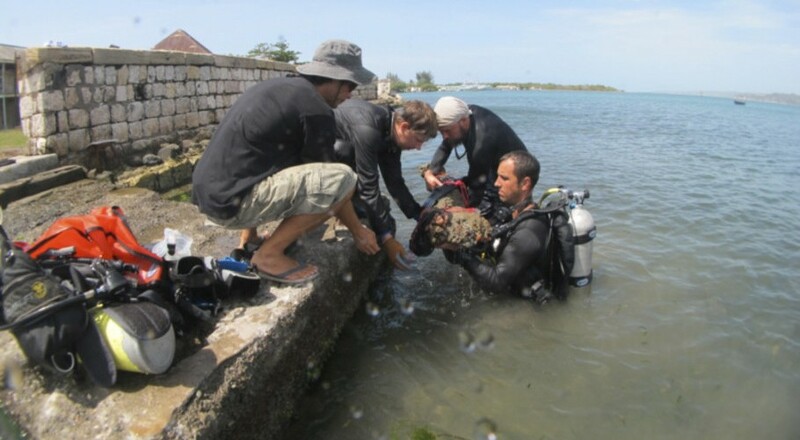 In 1981, INA, Texas A&M University, and the Jamaica National Heritage Trust began underwater archaeological investigations of the submerged portion of the 17th-century town of Port Royal, Jamaica. The Port Royal Project concentrated for 10 years on the submerged remains in the commercial center of the town. Once known as the ‘Wickedest City on Earth,’ Port Royal on the island of Jamaica was the second most important mercantile center in the English colonies during the late 17th century and a haven for privateers and pirates. On June 7 1692, a massive earthquake hit Jamaica, causing buildings to slide and disappear beneath the sea. An estimated 2000 residents were killed immediately and many more perished from injuries and disease in the following days. The investigation of Port Royal yielded much more than simply trash and discarded items. An unusually large amount of perishable, organic artifacts were recovered, preserved in the oxygen-depleted underwater environment. Five buildings including work complexes with a pipe shop/tavern/cobbler shop and residential houses were investigated thoroughly, contributing significantly to our understanding of 17th-century town planning, architecture, diet, cooking activities, and other aspects of daily life. Some human remains were uncovered from under the bricks of one of the fallen buildings, exemplifying the destruction of the 1962 earthquake, and the remains of a ship underneath another building have also been identified. 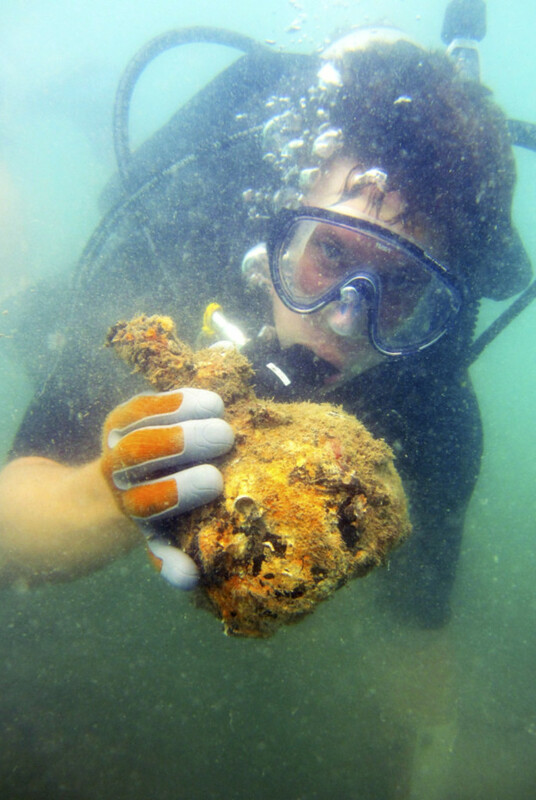 Together with the vast treasury of complimentary historical documents, the underwater excavations of Port Royal have allowed for a detailed reconstruction of everyday life in an English colonial port city of the late 17th century. Learn more at the Port Royal Project official site. Hamilton, D. L. 2005. “Resurrecting “The Wickedest City in the World”: Port Royal, Jamaica.” In Beneath the Seven Seas edited by G.F. Bass, 164-171. New York and London: Thames and Hudson. Smith, W.C. 1997. “The Final Analysis of Weights from Port Royal, Jamaica.” BAR International Series 675. Oxford: England. Hamilton, D. L. 1996. 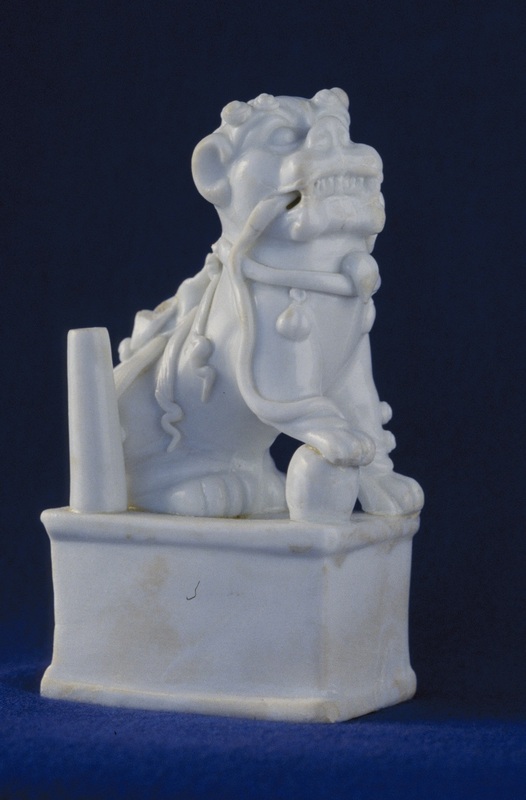 “Historical Archaeology on British Sites in the Seventeenth-Century Caribbean.” In The Archaeology of Sixteenth- and Seventeenth-Century British Colonization in the Caribbean, United States, and Canada. Guides to Historical Archaeological Literature, No. 4. The Society for Historical Archaeology. Hamilton, D. L. 1992. “Simon Benning, Pewterer of Port Royal.” In Text-Aided Archaeology edited by B. J. Little 39-53. Boca Raton, FL: CRC Press. Smith, W.C. 1991. “Radiography at Port Royal.” INA Newsletter 17(2):11-13. Thornton, D. 1991. “A Tour of a Port Royal House.” INA Newsletter 18(1):7-9. Clifford, S.A. 1991 “A Preliminary Report on a Possible 17th-century Shipwreck at Port Royal, Jamaica.” In Underwater Archaeology Proceedings from the Society for Historical Archaeology Conference. Richmond, Virginia 1991 edited by J.D. Broadwater, 80-83. The Society for Historical Archaeology. Hamilton, D. L. 1991. “A Decade of Excavations at Port Royal, Jamaica.” In Underwater Archaeology Proceedings from the Society for Historical Archaeology Conference, Richmond, Virginia, 1991 edited by J.D. Broadwater, 90-94. The Society for Historical Archaeology. Clifford, S.A. 1991. “The Port Royal Ship.” INA Newsletter 17(2):8-10. College Station: Institute of Nautical Archaeology. Hamilton, D. L. 1988. “INA Enters the SHARPS Era.” INA Newsletter 15(2):6-7. Hunter, C. 1987. “Bones Offer Clues to Everyday Habits.” INA Newsletter 14(1/2):14. .
Hamilton, D. L. 1986. “The City Under the Sea.” In Science Year 1986, 92-109. Chicago: World Book Inc.
Hamilton, D. L. 1986. “Port Royal Revisited.” In Proceedings of the Fourteenth Conference on Underwater Archaeology edited by C.R. Cummings, 73-81. San Marino, CA: Fathom Eight. Hamilton, D. L. 1984. “Preliminary Report on the Archaeological Investigations of the Submerged Remains of Port Royal, Jamaica, 1981-1982.” International Journal of Nautical Archaeology 13:11-25. Hamilton, D.L. and R. Woodward. 1984. “A Sunken 17th-Century City: Port Royal, Jamaica.” Archaeology 37:38-45. ABOVE: Chad Gulseth with one of the recovered onion bottles (Left Photo: INA). Dog of Fo recovered from Port Royal (Right Photo: INA).